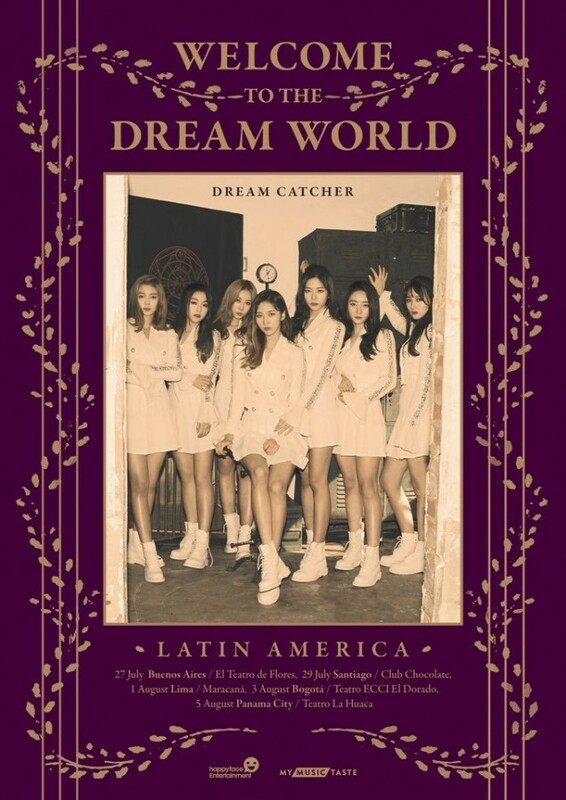 Dream Catcher will be going on a Latin America tour! The group announced on May 17 via Twitter that they will be greeting their fans in the Latin America region this upcoming July/August. The tour, 'Welcome to the Dream World in Latin America', will kick off on July 27 in Buenos Aires, Argentina and then wrap up on August 5 in Panama City, Panama. Check out the full schedule below. Meanwhile, Dream Catcher recently made a comeback with their 2nd mini album 'Escape the ERA', which has been receiving positive feedback from fans all across the globe. Will you be attending their tour?